Our theme this time is searching for the roots and origins of Himi as well as ourselves. Our roots are said to be deeply related to the Jomon Period, and we wondered how Jomon earthenware would traditionally be made in that era. 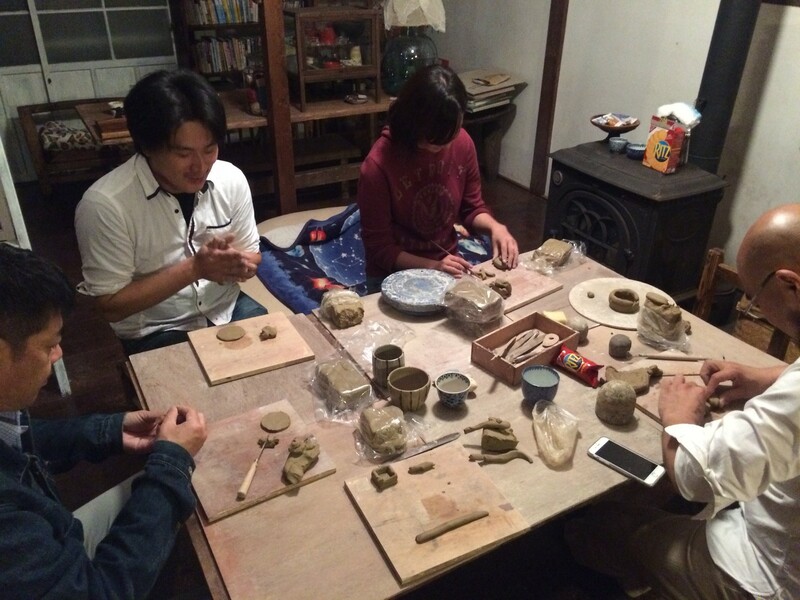 We therefore organized an activity in which we could make pottery typical of that time. 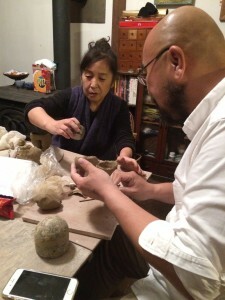 Want to make pottery using noyaki clay? 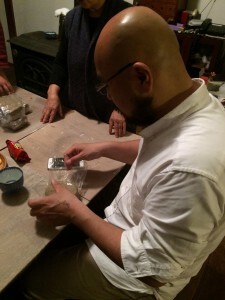 First, you have to learn how to handle noyaki clay! On October 20th, the founder Kawamukai and some of our staff visited Kitawaki, a ceramist who lives in Takaoka City, to learn the basic methods of how to handle clay. 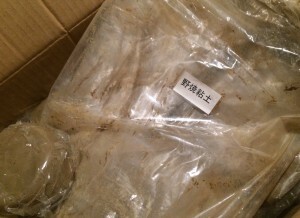 We used the noyaki clay shown below. Clay was distributed to each attendee and the lecture began. We tried to create some sort of shape with it. Kitawaki sometimes gave us precise guidance. She said one’s character is often distinctly reflected in his or her work. After creating a few pieces, the activity was closed. 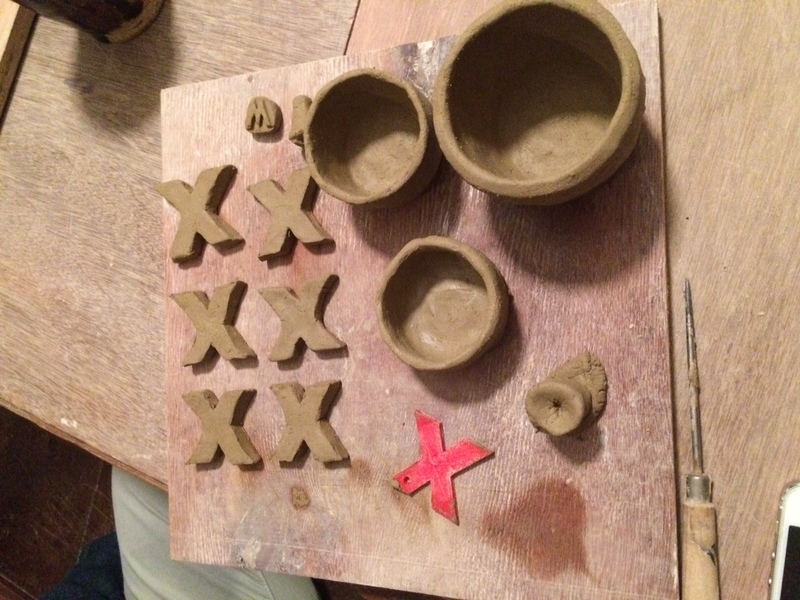 Participants took the rest of the clay home to make many “small X’s” on our own time. Making X-shaped clay looks easy, but it is actually quite difficult. The staff had an enthusiastic discussion to figure out the most effective method, and we came up with cutting the clay with an X-shaped mold, just like a cookie cutter. But we faced the challenge of how to make the X-shaped mold. As the saying goes, the scales fell from their eyes. This might be what is called a generation gap. We are eagerly making the “small X’s,” each in our own way! How well can we make our X’s? Can we manage to fire our X’s?